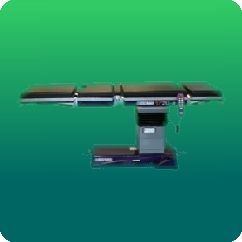 Healthcare Equipments need to perform under demanding situations. Failure of the product is really not an option. 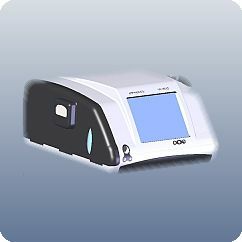 Failsafe products delivering with precision is the need of the medical industry. Herein reliability and performance are the hallmark of a successful product. Equipments and devices such as pulse oxy-meters, phaco-emulsifiers, Scanners, lithotripters and Orthopaedic implants to name a few, are precision devices that help patients lead a better quality of life. Precision is the watch-word in Medical equipment design. SolidWorks has the right combination of ease-of-use, productivity and functionality in addition to validation toolsets that empower medical designers to develop complex products right the first time. Majority of the medical equipment manufacturers have adopted SolidWorks as the de facto standard in their design process. 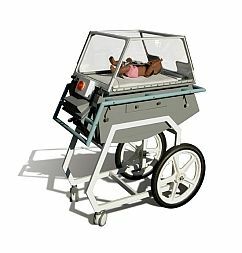 Continuing to innovate and improvise, SolidWorks has set a new paradigm in qualitative design of medical equipments. SolidWorks - First Choice for Medical Equipment Design... Why ? Design Ease of Use - No contemporary CAD software comes close to SolidWorks in Intuitive Design and Productivity without compromising ergonomics. Documentation and Service Manual Preparation - An essential part of the product development process, this is vital and an intrinsic part of the Company Intellectual Property Rights (IPR) that needs to be stored and re-used. In summary, SolidWorks is a proven choice for Medical Equipment manufacturers to bring products to market faster and command higher profitability and reliability. EGS India is committed to helping Indian Industries develop superior Medical Devices for affordable Heath Care - especially in Rural India ! Did You Know that Success or Failure of a Product in terms of Function, Cost and Reliability is directly attributed to DESIGN?